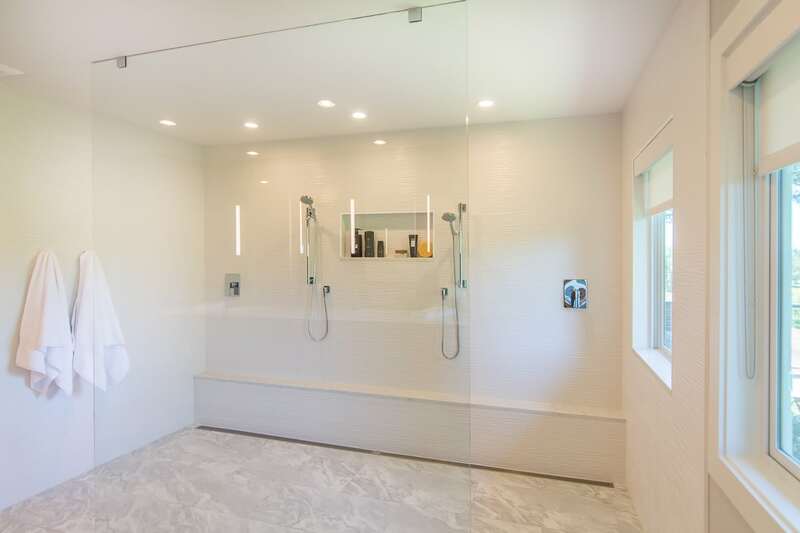 This spacious two-person, shower allows plenty of room for this couple to get ready in the morning simultaneously. 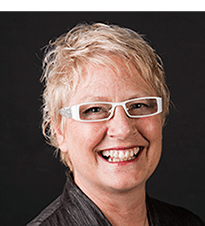 To facilitate aging in place the ability to go in one end and out the other, and the curbless floor, means that even a wheelchair could roll through with no trouble. 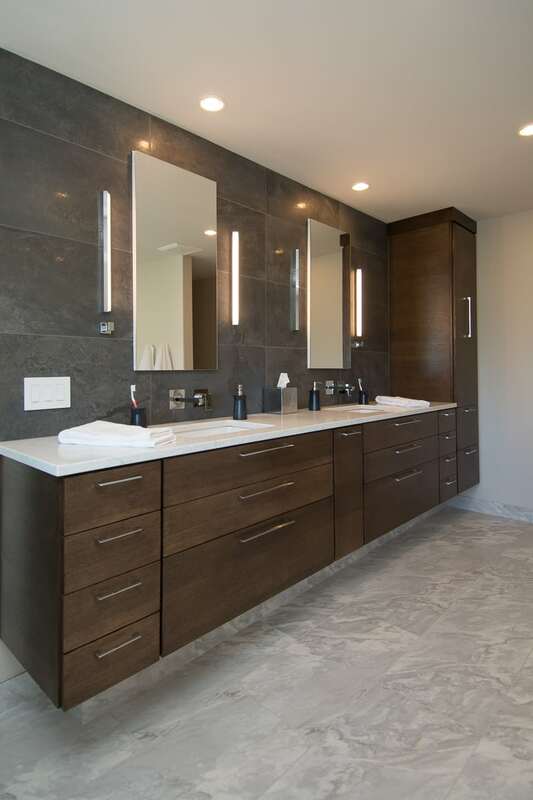 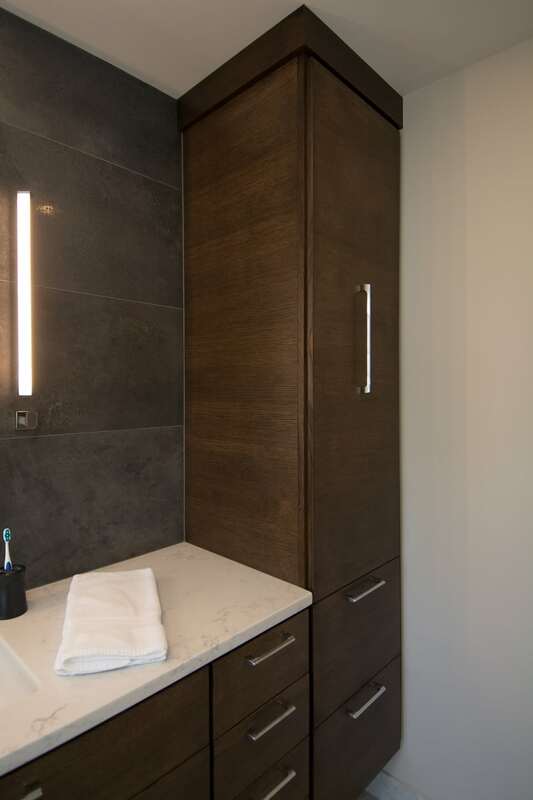 The white textured tile is light and bright, but the room is warmed up with rift cut oak cabinetry in a warm brown stain. 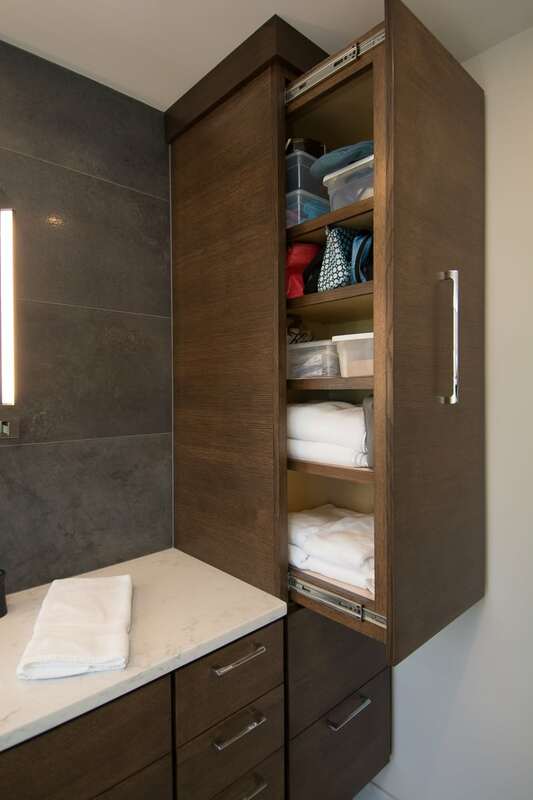 A pull-out linen cabinet provides plenty of convenient storage.